The app is crashing or frozen! This was my favorite weather app, but it stopped giving me notifications. Everything looks to be set correct with alerts and notifications are turned on, but no alerts :( We play lists of outdoor sports and the lightening warning was so useful. A very nice App in terms of layout and info except that anytime there is serious weather activity it tends not to load. I get the splash screen and then it freezes. Can fix it sometimes with a reinstall. I used to think it was because of demand, but it failed to load at 3:00;AM and I don’t think a lot of users were up at that time. Please fix this. Added: coldest day of the year and it’s down again. Can’t count on this app and it’s off to the trash. Worse than useless. 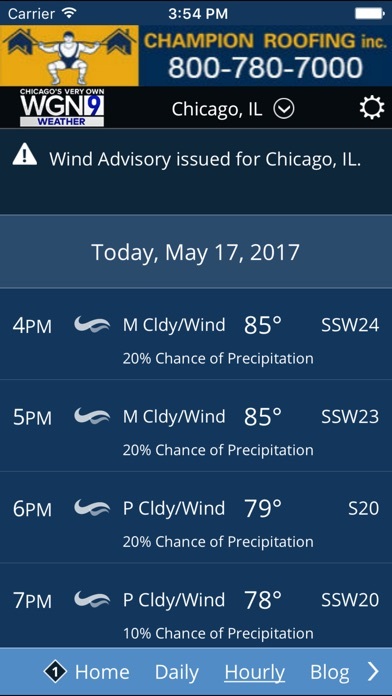 As a Chicago cycle commuter this app used to be ideal for my mission specific needs; radar, wind speeds, etc Its just too glitchy now. I would not recommend it, especially since the developer is well aware that problems abound and have done little to correct them. 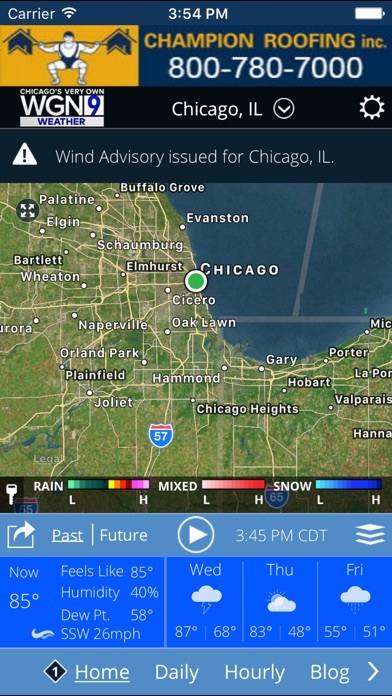 I doubt Tom Skilling has any actual input with this app even though his name is on it. He is (was?) legit and the app is not (anymore). I too have to reload the app for it to work. This is a recent problem and very irritating. I haven’t had it happen on my iPhone, but it happens on my iPad Pro, the current model. Otherwise it’s an excellent app with excellent quality videos. I am using iPhoneX with all updated/current software and I am having the worst time with this app. Some days just the radar works, some days just the hourly works. Mostly nothing works. I greatly rely on my weather app this fall with the severe winds and weather we’ve been having. I need you to have my back Tom, please make it right! Lost the daily and hourly forecast. Why? I have liked and used this app for a really long time. This most recent update has not been good. I keep losing the past/future toolbar and the start arrow. I have uninstalled and re-installed the app multiple times—this means I have to add my places/settings, etc. each time. I have resorted to shutting down and turning back on, also. I think this app could use a patch or an update. The latest version of this app has resulted in no radar information displaying when I go to the home tab. I depend on this feature for planning so this is very frustrating. Best weather app, in my opinion. Consistently updated for accuracy; other apps are very generic when it comes to the suburbs and you end up with city weather which is off the farther you get from the Lake. Just wish there was an Apple Watch app. How about an update so your app will open the same day you try look at it? 10/5/18 I have used this app for years. It remains, bar none, the very best and most complete weather app. The developers just released a new update. I believe all the changes are to the home screen Map function. It was already very good, but they have added some wonderful streamlining. It enhanced what was already a great app. I especially love the four-arrow “compass” icon in the top left. Tap it and virtually everything disappears, making the viewed map 30-40% larger. Love that!! Thank you, developers, for all your excellent work on this fine weather app. After updating to the latest version of this app I think I will need to buy a big magnifying glass to see the very small typeface. Tom Skilling you are among the top meteorologists in the world. So why are you not adding your input in the design of this app? To the developer of this app (and all the others out there), eye strain is a major issue with so many poorly designed apps. PLEASE MAKE THE TYPEFACE BIGGER OR AT LEAST ADJUSTABLE FOR US OLDER FOLKS. Or have we become obsolete? They had to mess with it - in a bad way. The latest version has graphics and text so small that it’s difficult to read. Time for me to find a different app. They mostly use the same database of weather info so it doesn’t really matter. How do I turn off Skilling’s warnings??? Every day, sometimes 2 or 3 times a day, I get a notification to update the app. Then, asks if I want to download the latest comparable version, then updates nothing. So frustrating. My IOS is up to date, why doesn't this work? Your app hasn’t kept up with IOS updates. This used to work beautifully but in the last 6 months the screen freezes on the initial page and nothing will unfreeze it! I am forced to delete the app and reinstall! Iris happening every week or two now. 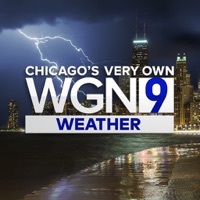 With all the graphics and science behind Tom Skilling and the WGN weather team forecasts you’d think they would have the IT support to fix the app. Like the app when it will open. Remember folks, they will always over predict instead of under predicting. Since updating this app, it’s slow to load and sometimes won’t load at all. As far as radar is concerned, what happ30 minutes ago is useless to me; I need to know what you forecast to happen on the radar. Please return this functionality. I still have it on my iPad, but not my phone. Used to work great. Now takes forever to load on iPhone and iPad. Needs a BIG improvement for Apple products. However it does seem to run fine on my other android phone. Are you getting ready for the Sinclair takeover by making this APP worthless? It WAS the BEST but not anymore, half the time it won’t even load on an iPhone 7 with updated iOS. Good bye, sorry Tom S, time to retire. The closest app I have found to Storms (NLA). It had almost everything I wanted in a weather app. Was thrilled until I noticed that my battery drained in less than a day. Wasn’t sure if it was the culprit, but deleted it anyway. My battery is lasting again. 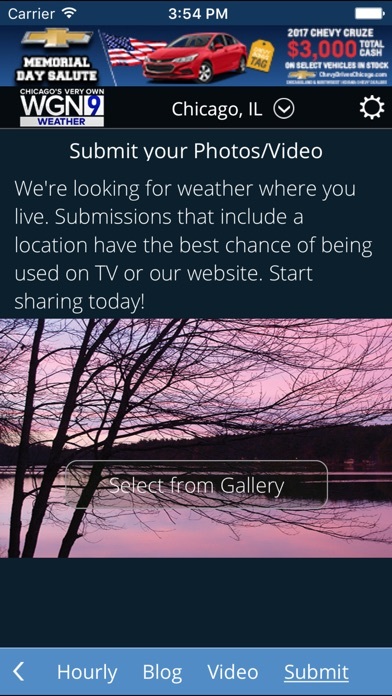 Every time I want to open the app to check local weather, the app will not open. I have to delete the app and reinstall it, just to get it to function. 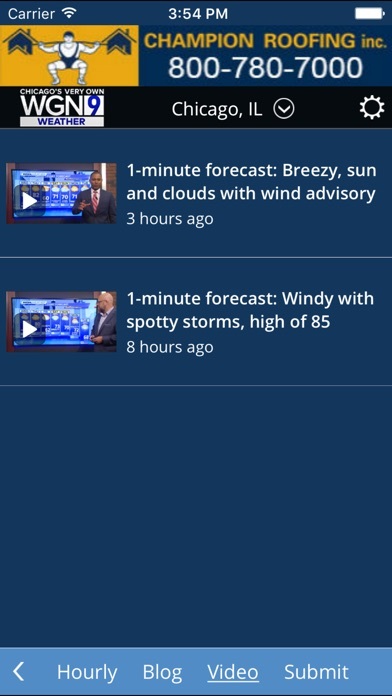 This app has been getting slower to open and now it won’t open at all, I have to open the news app to get to the weather. This app loads soooooo slow now compared to how it used to work. Please fix the issue. It is not my device as it loads slow on all my devices. Whenever I go I the App Store to update my other apps it keeps making me update this app. And after I do the update it makes me do it all over again. 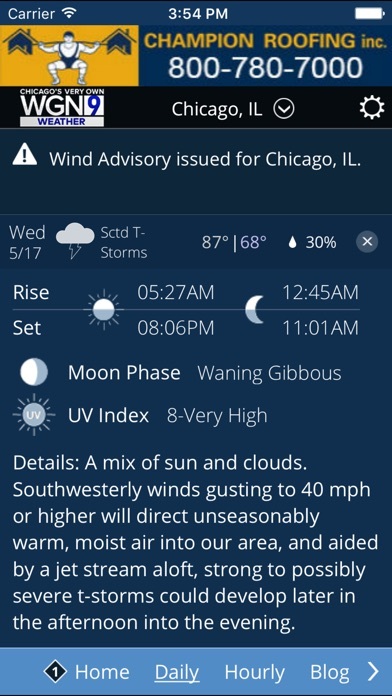 It’s the only app I trust for Chicago weather. The app is not pretty or intuitive but it gets the job done. Updated app 2 months ago. No radar background (no roads, no Lake Michigan) app is completely useless, without background data. Sent multiple emails. No response. Deleted app, don’t waste your time. Update: January 4, 2018. This app is still worthless! Rarely opens right away, constantly missing data. I would not recommend this app at all. More often than not, I’m stuck looking at a Loading screen, and I have to force close the app. But when it works, it works. This is not as good as the original App. The other one works fine, so why? The new one is limited and not as informative. I'm glad I never updated on my other I Pad. You should offer both options. I wrote this review a year ago and was hoping the old APP would return. No such luck. With so many single stars, listen to your users! Bring back the old version..please! It covers what I need to know with the radar imaging as a roofer it saved our customers and us lots of grief and cash ! I was hoping Tom or ? would get a tornado & hurricane radar watch added to there lineup ! This app.improved we design in better function. This has got to be the worst weather app out there. It's really only good for giving you the temperature. It's so bad, it doesn't even agree with itself. The daily forecast will say 80% chance of thunderstorms, yet if you scroll through the hourly forecast, it'll say "Mostly Sunny, chance of precipitation: 20%" for the entire day. This app simply doesn't work on the latest OS on an iPad 2. It opens and then just sits there.